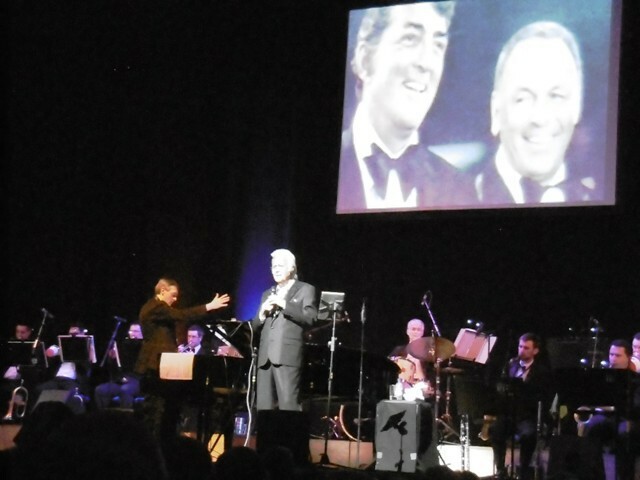 In his tribute to Frank Sinatra Jack Jones took the Birmingham Town Hall audience back to the Rat Pack days – with a 21st century twist. 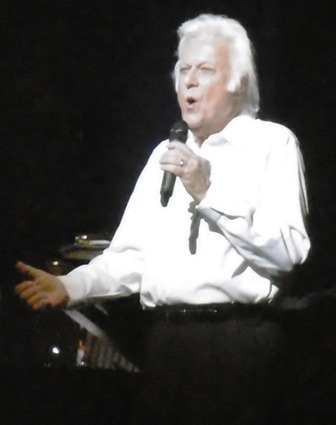 While Frank would sing Drinking Again while consuming a glass of Scotch, 78-year-old Jack's on-stage beverage of choice when performing the number was water. Jack also used a computer tablet – not always successfully – to remind himself of some of the lyrics during the hour-long first section of the show. A short mid-1950s film of Frank demonstrating the mod cons in his new house launched the concert and it made me think he would have embraced new technology just as Jack has done. 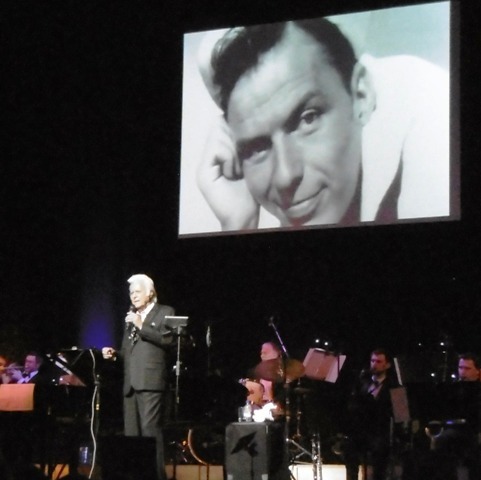 The tribute to Sinatra, and Jack's accompanying Seriously Frank album, marked Ol' Blue Eyes' 100th anniversary. Jack sidestepped some of Frank's signature numbers but there was plenty here to satisfy any Sinatra fan. Thanks to the new arrangements by Patrick Williams and a superb 15-piece Big Band led by French jazz pianist Christian Jacob the numbers sounded fresh while remaining true to their original spirit. 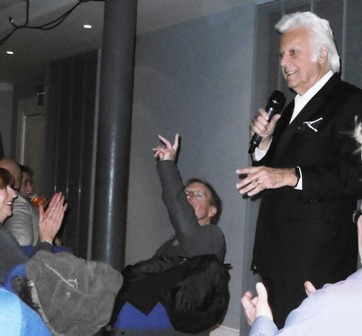 Jack, who was inspired to become a professional vocalist after Sinatra sang at his school, was in fine form. He can still hit those high notes – and hold them. Dressed in smart suit with a bow tie, and with a mane of white hair, at times it was like seeing a cabaret show in a Las Vegas theatre. Highlights included The Best Is Yet To Come (which Sinatra originally recorded with Count Basie), the downbeat I Guess I'll Hang My Tears Out To Dry and It Was A Very Good Year, complete with Sinatra photographs projected onto a screen. There was even a little bit of American politics – Jack changed the lyrics of The Lady is a Tramp to The Lady is a Trump. After the interval Jack seemed more relaxed as he moved to more familiar material – his hits. The bow tie came off and for the first two songs he even wandered among the audience as he sang, stopping briefly to have a chat with his wife who was seated in Row K in the stalls. His second Grammy award winner, Wives and Lovers, The Impossible Dream and a couple more Sinatra tunes, All of Me and We'll Be Together Again made this a night to remember. Sunday 14th: Edinburgh, King's Theatre. Why? Legendary vocalist celebrates the music of... a legendary vocalist.